• Objective. —As part of their preparticipation physical examinations, 1241 middle and high school student athletes completed a questionnaire and were interviewed to elicit risk factors for unrecognized exercise-induced bronchospasm (EIB). Spirometry was then performed when the students were at rest. Research Design. —All participants completed a questionnaire, were interviewed, and underwent baseline testing to determine forced expiratory volume in 1 second (FEV1). Setting. —All testing was performed in a school setting. Selection Procedures. —Athletes known to have EIB who were receiving appropriate treatment (46 athletes [4%]) and athletes with no risk factors based on medical history and normal results of spirometry (847 athletes [68%]) were eliminated from further evaluation. 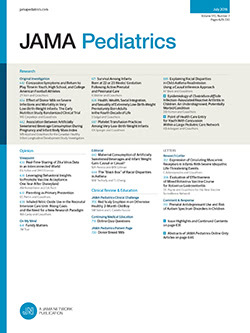 Students with medical histories indicating risk of unrecognized EIB and students with abnormal results of spirometry were eligible for exercise challenge by standard treadmill protocol. Measurements and Results. —Of the 348 eligible students, 230 (66%) completed the exercise challenge. Sixty-six of the 230 students had >15% reduction in FEV1, and 50 of the 66 students had >20% reduction, representing a 29% occurrence of previously undiagnosed EIB in a population of students identified with screening to be at risk of unrecognized EIB. Of the 179 students identified to be at risk based on medical history only, 28% had EIB. Of 33 students with positive results of spirometry but no medical history that put them at risk, 15% had EIB. Of the 18 students with medical histories that put them at risk and positive results of spirometry, 61 % had EIB. Including the subpopulation with reduction in FEV1 of >15%, students shown to be at risk after screening, and students previously identified as having EIB, 145 students were identified as having EIB (12%).